Is there a better alternative to Foodie? Is Foodie really the best app in Cooking category? 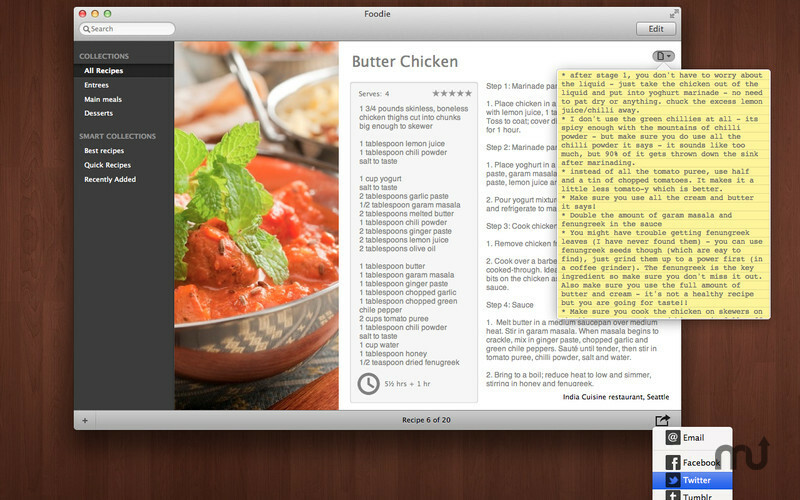 Will Foodie work good on macOS 10.13.4? 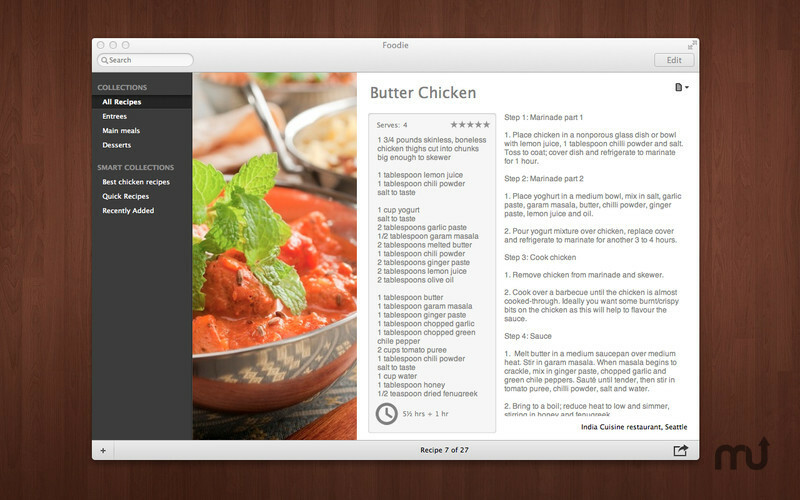 Foodie offers effortless recipe management and sharing. With its beautifully designed interface and deceptively powerful feature set, Foodie is the easiest way to manage and share your recipes. 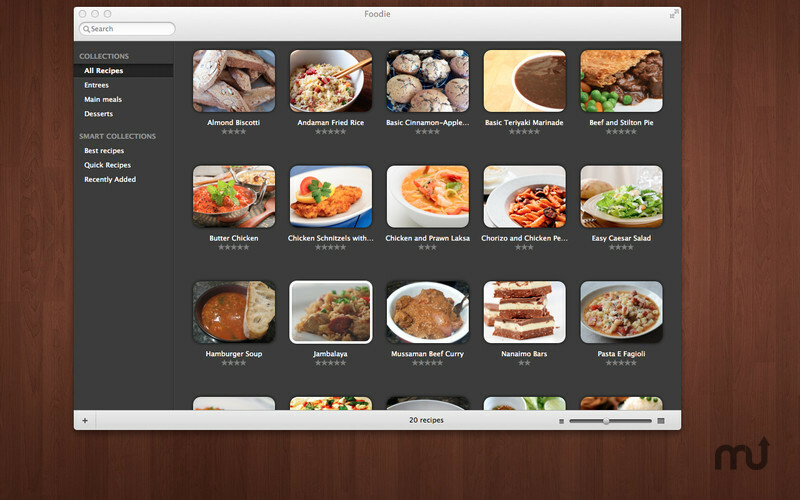 Foodie shows your recipes as they should be seen: visually, making it a snap to browse your entire recipe collection and find the exact recipe you are looking for in no time at all. Managing recipes is a breeze. 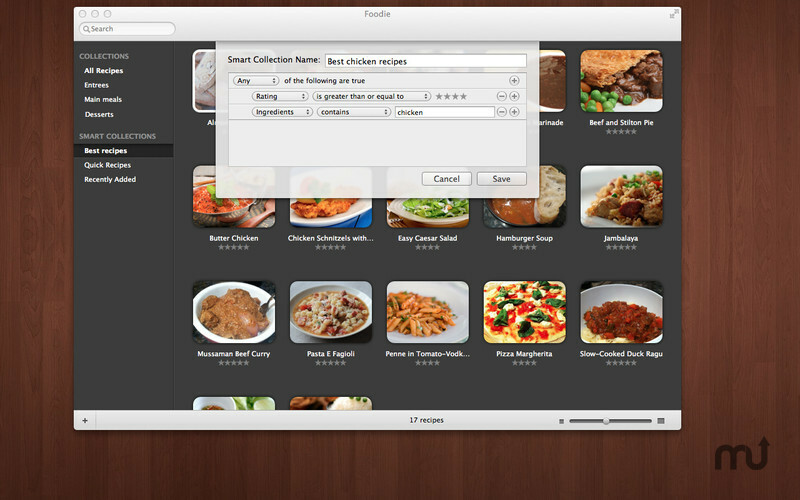 Forget complex data entry screens or selecting endless drop-down boxes: with Foodie adding a recipe is both quick and painless. Foodie needs a rating. Be the first to rate this app and get the discussion started! A powerful and intelligent search engine helps you find exactly what you are looking for no matter where in your recipe it may be: simply enter a keyword and Foodie will do the rest. Group your recipes into collections for even easier management, or create smart collections that always stay up-to-date as your recipes change. Sharing your recipes with friends and family couldn't be simpler: a single click and you can share recipes over Twitter, Facebook, Tumblr and email. 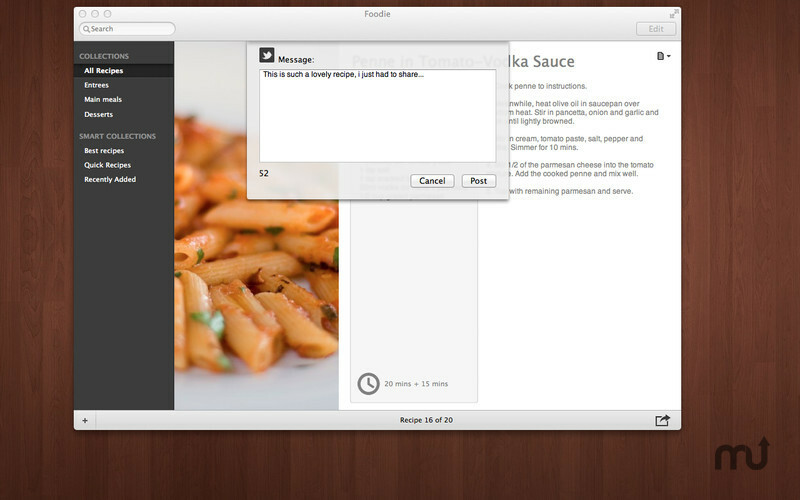 Your friends and followers don't even need Foodie installed to be able to share in your culinary masterpieces. What's more, since Foodie publishes everything to the Web, your friends will be able to view and download your recipes themselves simply by using a browser.